Everyone likes roses with fragrance and bemoan the many cultivars on the market today that have little or none. Eight Earth Kind roses, however, combine outstanding fragrance with low maintenance requirements making them a very good choice for any garden. The scents vary from sweet to spicy , peppery, and musky, but once established all them tolerate heat, drought and a variety of soil types, and can be grown without pesticides, fungicides, or fertilizers. Also known as the ‘Sweetheart Rose’, ‘Cecile Brunner’ bears waves of light pink fragrant flowers in airy clusters ten-twenty-five. Each flower develops from a slender bud and resembles a miniature hybrid tea with a high center, reflexed petals, and sometimes with a button eye. Unfortunately, the flowers fade quickly in the sun. The bush is vigorous, almost thornless and tolerates light dappled afternoon shade but thrives in full sun. Full, cupped flowers are carried singly or in clusters of two to ten and are light to mid-pink with hints of salmon. The moderately bushy plant is well-branched and as mid-green wavy leaves. 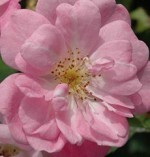 ‘Duchesse de Brabant’ is only hardy to zone 7 and grows best in hot, dry climates. 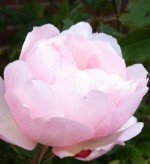 A sport of ‘Marie Pavie, “Marie Daly has long pointed buds that open to small medium pink flowers that fade to white. The compact rounded bushes have almost thornless stems that are densely covered with small, dark green, leaves. A good choice for a low hedge or in a container. Apricot buds open to flowers that are carried in clusters of five to twently five and slowly fade to golden buff and then white. The bushes have almost thornless stems and are clothed in small, glossy, medium green leaves. 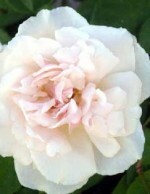 A sport of ‘Pinkie’, this floriferous rose has fragrant flowers carried in clusters of five to twenty five. 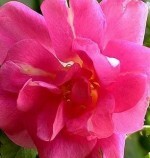 The petals of the flowers are semi double, to double, medium pink and reflexed. The bright green leaves are thin and glossy and the stems are flexible and thornless. One half inch hips are produced in the fall. The English translation of ‘Reve d’Or is golden dream and this nicely describes this outstanding climber. The reddish buds are stocky and open to flowers that are carried singly or in clusters of two to fifteen. 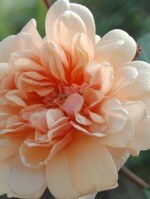 The petals are golden yellow with pale edges and apricot reverses, giving an over all look of buff gold. The dense glossy foliage clothes the bush from the ground up and is red when young before turning dark green. The stems are almost thornless and the flowers of retain their color well. An excellent choice for a climber in warm climates. This sport of the famous ‘Souvenir de la Malmison’, produces pink semidouble flowers with a spicy fragrance that perfumes the entire area. The bushy shrubs are especially appreciated near a doorway or window where the scent can be enjoyed. The origin of ‘Spice’ is controversial and it is associagted with the Bermuda Mystery roses and Hume’s Blush Tea-Scented China. It’s characteristics are somewhat variable but it’s strong peppery scent is always present and probably accounts for its name. 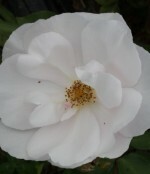 The medium to large flowers are blush pink to white, semi double to double. The well branched bush tends to be twiggy with almost thornless stems. Flowers are good for the vase. 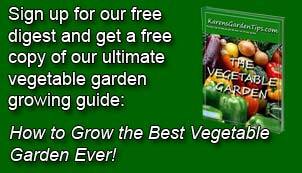 To read more about Earth-Kind and other low maintenance roses click here.